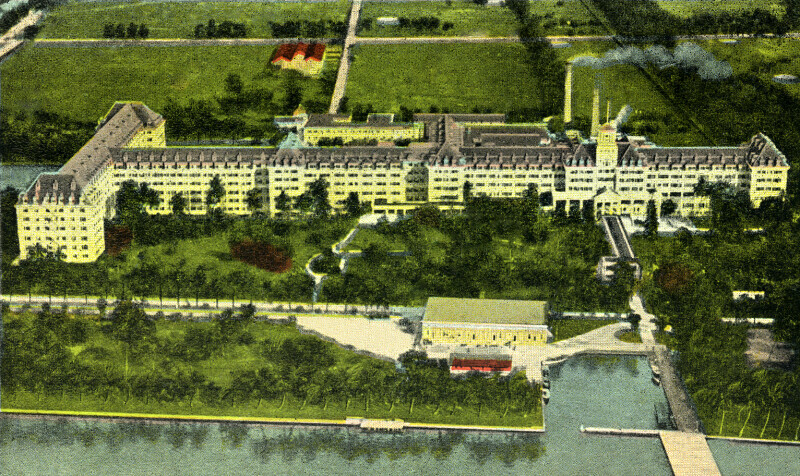 This aerial view shows the grounds of the Royal Poinciana Hotel. The hotel is a wooden frame building, in the Georgian Revival style. In the foreground there is a channel or canal with a stone wall protecting the bank. A small, square harbor holds several small boats. A dock has been built out over the canal. WARNING: You are about to download a 5.1 MB TIFF!